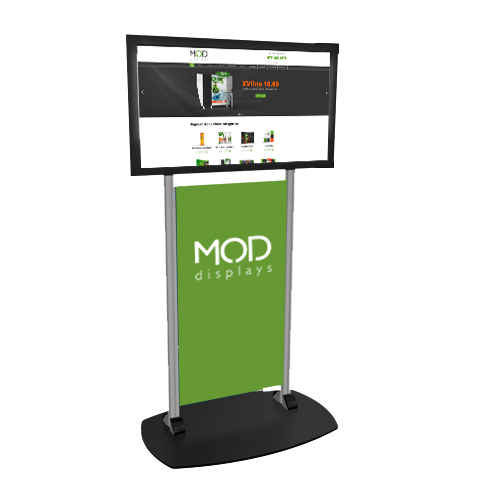 Form meets function by adding multi-media to your trade show display, recruitment booth or reception area. 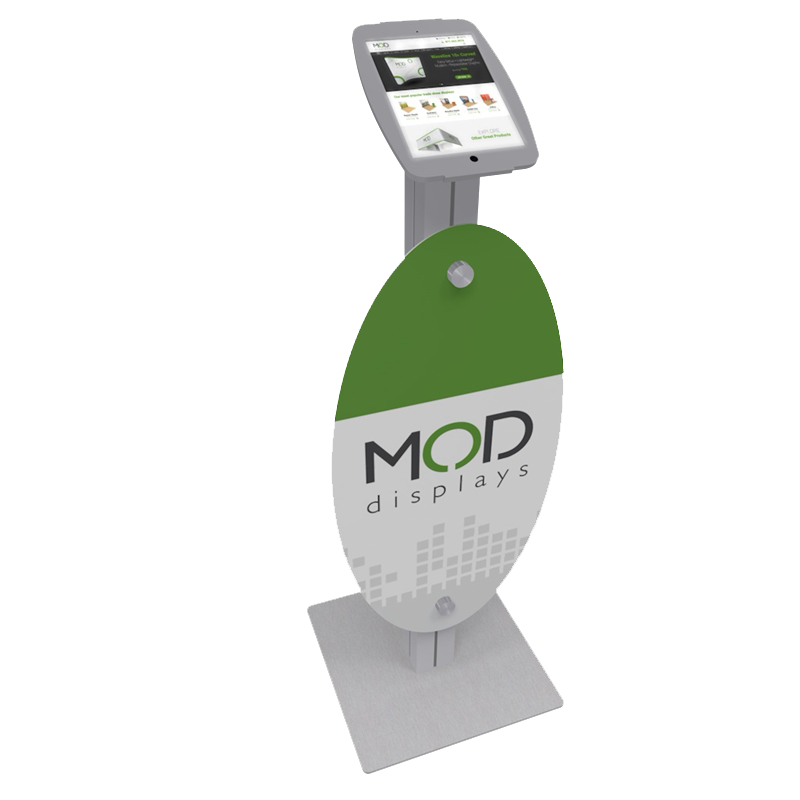 Create eye-catching visuals by running a video loop, use it as a demo station to interact with potential clients professionally, and gather contacts or preview your catalog of products or services. Standalone units are a valuable asset for software demos, product libraries, and workstation convenience. 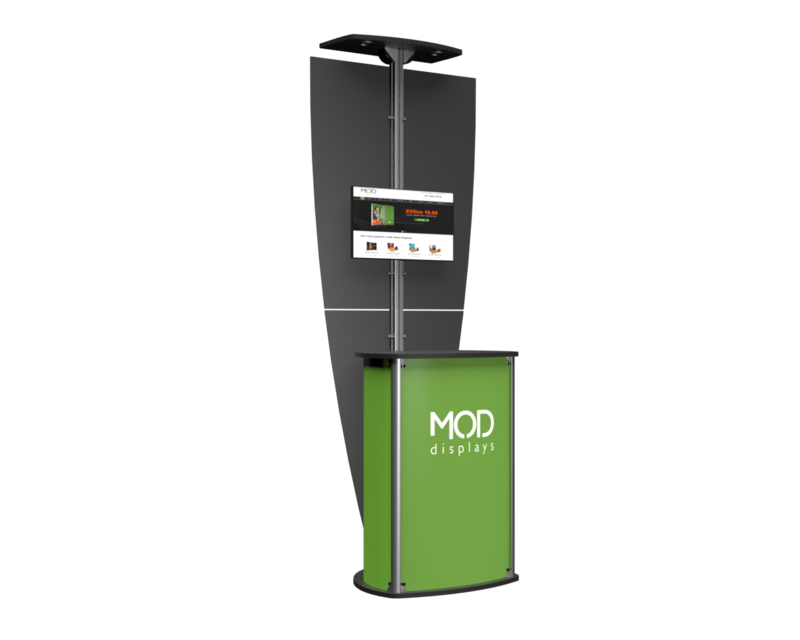 Adding graphics is an affordable way to elevate your booth to the next level.